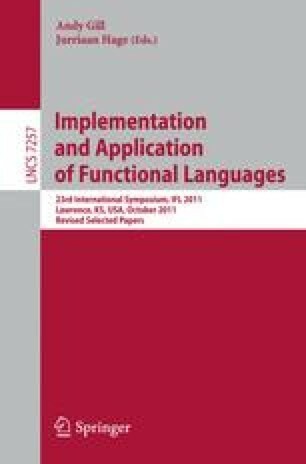 This paper presents the design of a language for the description and optimisation of reversible logic circuits. The language is a combinator-style functional language designed to be close to the reversible logical gate-level. The combinators include high-level constructs such as ripples, but also the recognisable inversion combinator f −1, which defines the inverse function of f using an efficient semantics. It is important to ensure that all circuits descriptions are reversible, and furthermore we must require this to be done statically. This is ensured by the type system, which also allows the description of arbitrary sized circuits. The combination of the functional language and the restricted reversible model results in many arithmetic laws, which provide more possibilities for term rewriting and, thus, the opportunity for good optimisation.